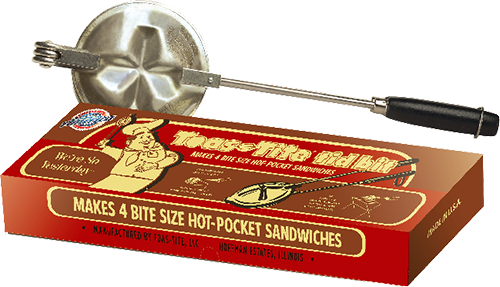 Only a Toas-Tite® brand pie iron can make the special hot sealed toasted sandwich we call a Toas-Tite. 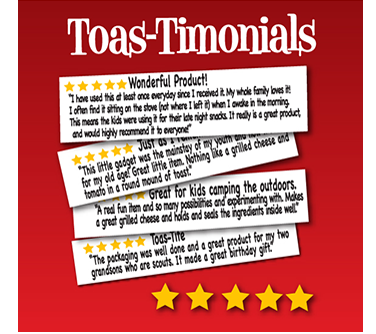 What makes a Toas-Tite® brand pie iron different from other sandwich toasters? First is Toas-Tite’s retro, space-age shape. Sure the flying saucer shape looks cool, but it’s the way the heat is evenly radiated over the cast aluminum surface that creates the perfectly toasted sandwich. Next is the genius of the interlocking Top & Bottom, that creates the perfect seal. The seal not only creates the pocket but allows the Toas-Tite® to steam-heat the filling inside. Be careful – the fillings stay hotter than the toasted bread. 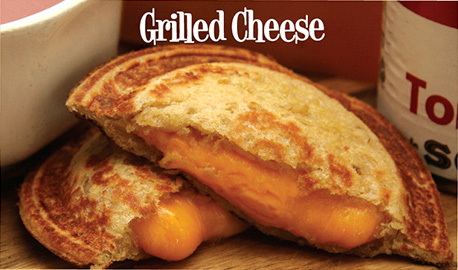 Even heat distribution and interlocking pieces make for perfect melted cheese and hot fillings without burning the bread. Why do we call the Toas-Tite® a pie iron – it’s not made of iron? Even though the Toas-Tite® was first sold in 1945 and was a big housewares hit, the company that made them closed up in 1953. Loved and used for over 70 years the Toas-Tite® brand is still not well known. 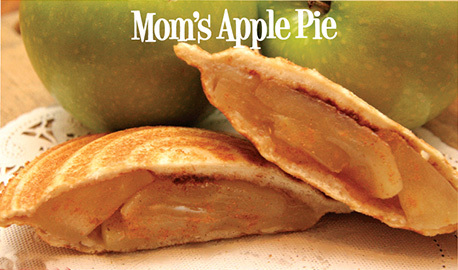 In the age of Google and SEO, Toas-Tite® falls into the category of pie iron, pudgie pie maker and mountain pie maker. Hopefully one day you will search the name Toas-Tite® to find us, but for now we are a pie iron made of cast aluminum. Toas-Tite® The Long and Short of it. Believe it or not, back in the forties the Toas-Tite® was originally made for your Mother or Grandmother to use on her kitchen gas stove. Electrical appliances did not take up every inch of counter space back then. Come to think of it, there wasn’t much counter space. The 1945 Toas-Tite® was 16” long, just the right size for a kitchen stove. (We call this the Retro Box Toas-Tite). As the post-war family grew, and hit the road with tents and RVs, their Toas-Tite® came with them. Campfire cooking called for a longer handled Toas-Tite®. In the late forties a 22” long model was introduced – our Camper XL model. The original Toas-Tite company didn’t stop there. Just before closing their doors, Toas-Tite brought out the tid bit®. It makes bite-size, snack pockets, four at a time. 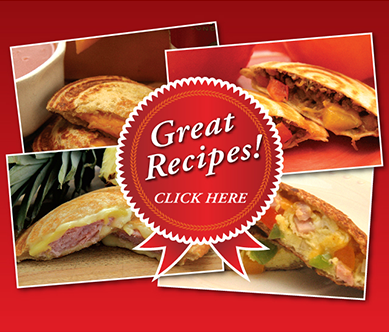 We brought them all back, with retro packaging and recipe ideas. See them all on our store page. 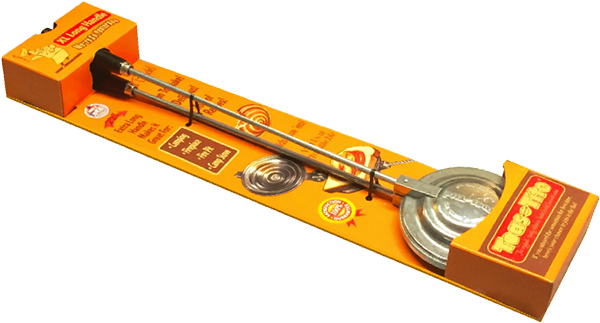 Long or short, campfire or kitchen stove, breakfast, lunch or snack, there is a Toas-Tite® brand pie iron right for you. 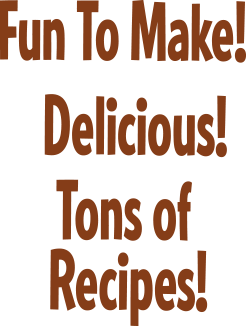 Join today and receive a free Toas-Tite Recipe Booklet and our Toas-Tite Newsletter full of great Toas-Tite ideas.